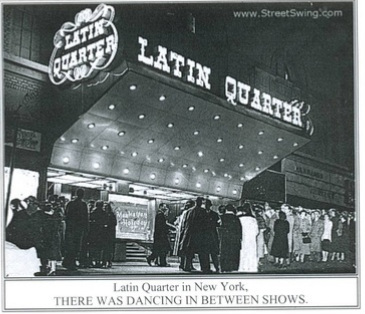 There were Latin Quarter clubs in Boston and Chicago, but nothing compared to the one in Times Square. 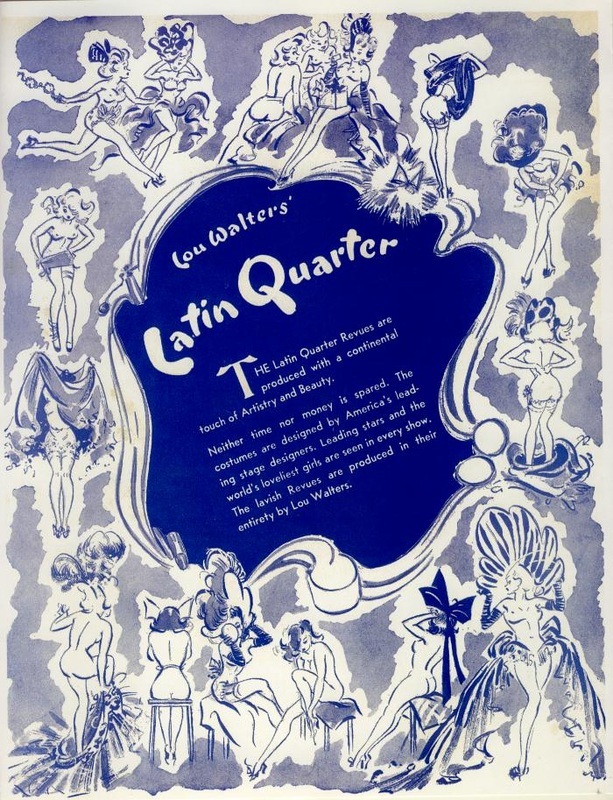 With its continental charm, twenty-seven-girl chorus line and Gay Paree flair, the Latin Quarter was the place to be. 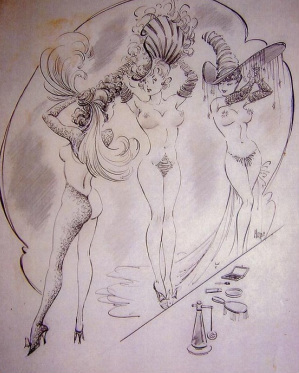 Already well known for his notoriously beautiful drawings of women, Morse was to become the club’s illustrator. 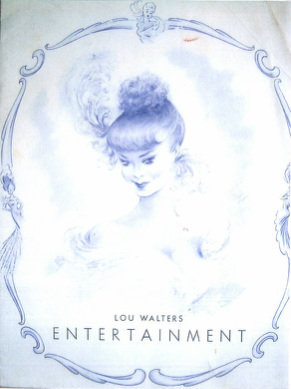 His artwork, appearing in virtually every program and menu, celebrated the club's stunningly beautiful showgirls. 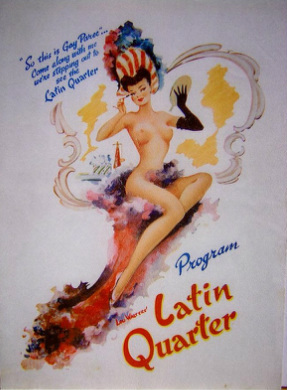 When They Say Show Girl, They Aren't Kidding! 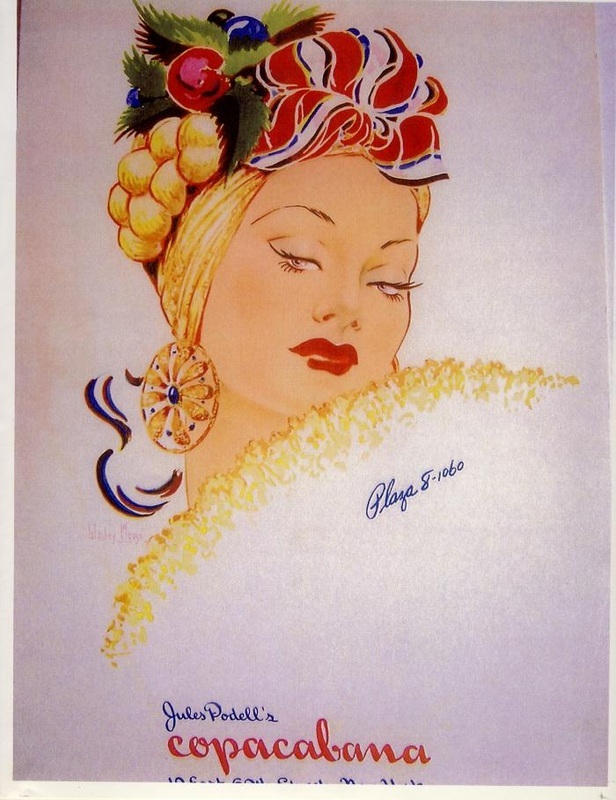 The Copa logo, created by Morse in 1943, of a sultry beauty beneath a colorful turban of fruit, has become the most recognized logo of the nightclub era, a sort of nightclub Mona Lisa. Contrary to popular belief, he did not model her after South American actress Carmen Miranda. 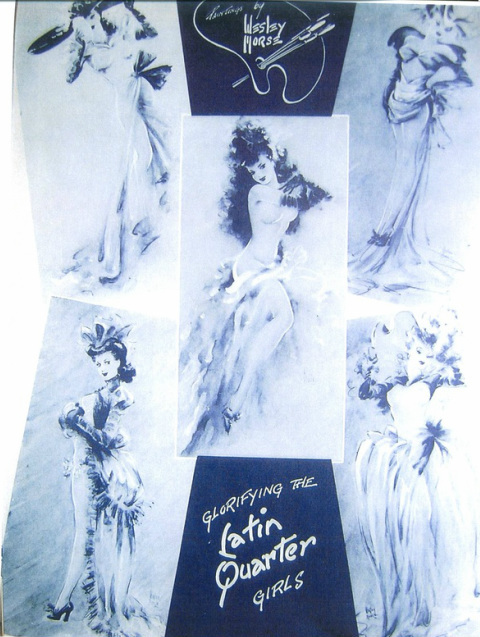 Find out who she is in The Life And Art of Wesley Morse, available now in print.